Deputy Chief Constable Simon Chesterman, who is in charge of armed policing on the National Police Chiefs’ Council (NPCC), has revealed that the police leadership is contemplating routinely providing regular officers with guns in rural areas. This option is seen as a way out of the current situation, where trained counterterrorism forces are unable to reach many distant areas in the UK. According to The Guardian, citing plans presented to the police leadership, before regular officers get handguns they are to have two weeks’ training. Over this period constables are supposed to learn how to handle weapons as well as some basic technics. They will also be required to complete two days’ annual practice to refresh their qualifications. The armed officers are supposed to respond to possible terror threats when more experienced teams are unable to promptly manage an emergency. The discussion has reportedly been ongoing since 2017 following terror attacks including rampages in London’s Westminster and Manchester. Prior to this outburst, former Prime Minister David Cameron assigned extra-funding to counter terror in the UK in response to the 2015 Paris attacks. The number of counterterrorism specialist firearms officers (CTSFOs) has been boosted along with other measures, but security services still lack 100 personnel to reach the government’s target. 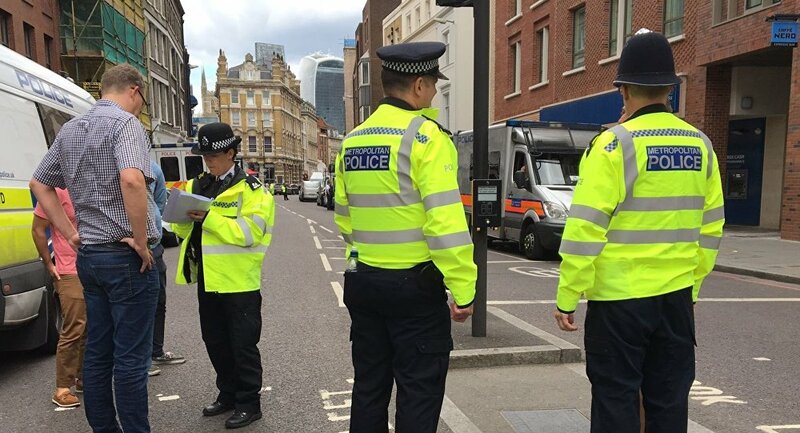 The number of armed response vehicles (ARVs), which let officers equipped with semi-automatic rifles, handguns, Tasers and other weapons patrol the areas round-the-clock, has been also increased by 25 percent in England and Wales. However, Chesterman said, cited by The Independent, that although ARVs can respond within 10 minutes in urban areas, more remote sites are hardly covered. But he says that only a small number of police forces consider the possibility of handing beat officers guns. “The position of police chiefs nationally is that we value the unarmed nature of British policing, policing by consent, and want to continue it,” he says. Now about 10 percent of British policemen carry firearms round 90 percent, according to The Independent. The poll by the Police Federation showed that only a third of staff supported routine arming. Opposed to this stance, commentators on Twitter seem to like the idea. — Kulgan of Crydee (@KulganofCrydee) 17 мая 2018 г. — Think About It (@ChipsAHoying) 17 мая 2018 г. — Janet page (@Janetpage123) 16 мая 2018 г. Flooding the UK with sexually violent Muslims was also against tradition in Britain, but there you are. — TopKEK (@TopKEK1999) 17 мая 2018 г. ​Voices against the move are also heard. — ROBIN MACFARLANE (@MacfarlaneRobin) 17 мая 2018 г.
I'm all for having safer streets but arming the Police is not the answer. The answer is something like having police out of the station and on the street. And better funding and more officers. But hey, wadda I know? — Ed Parnell (@edparnell) 17 мая 2018 г. Rural police forces considering routine arming of police. — C/Supt Paul Timmins (@SuptPaulTimmins) 17 мая 2018 г. In 2017 the UK suffered five deadly attacks. In March 2017, a man drove into pedestrians on Westminster Bridge in London and attempted to enter the Westminster Palace grounds; in May, an explosion went off at the Manchester Arena at the end of a concert by US singer Ariana Grande. Two other attacks took place in London in June, both of them involving vehicles that rammed into passers-by. In September, a bomb exploded in a London tube train. The explosion had occurred at the Parsons Green tube station leaving dozens injured. On May 14, the head of the UK Security Service (MI5), Andrew Parker, said that 12 Islamist terror plots had been thwarted in the United Kingdom in the last 12 months.